Is your PLM world in a state of constant flux? Would you like to replace your old systems, consolidate your system environment following a company acquisition or dismantle it during the course of a carve-out, integrate joint ventures in your PLM infrastructure or connect external partners? Then you have come to the right place! PROSTEP is a recognized specialist for data migration, system integration and collaboration. Benefit from the know-how acquired over many years and our tried-and-tested software solutions. We provide you with vendor-neutral support and give careful consideration to openness and interoperability when designing your PLM system landscape. Our PLM experts are familiar with the specific process requirements of your industry and understand your IT specialists and users. We know what we are talking about and also implement your data migration, system integration and collaboration requirements in practice. Best practices guarantee a uniform approach and ensure that projects can be handled quickly, using agile methods where appropriate. Our standards-based COTS solutions guarantee fast project implementation and provide maximum protection of your investment. Our mature standard solutions simplify system integration and the connection of your collaboration partners. Data migration poses a major challenge, and not only when replacing existing CAD and PLM systems or consolidating heterogeneous system landscapes following company acquisitions (M&A) but also when carving out parts of a company (carve-outs) or establishing joint ventures. If a company's know-how is to be preserved, large quantities of CAX data and documents, together with product structures and other PLM data, need to be converted and migrated. PROSTEP provides you with consultancy when it comes to defining the best strategy for data migration – be it the migration of all the data at once (big bang) or gradually, step-by-step. Our experts help you to clean up the existing data, classify it clearly, convert it and import it automatically into the new system environment. They are familiar with the requirements of a wide variety of different IT systems and ensure quality-assured data conversion. This means that your know-how, your company's most important asset, is preserved in its entirety. Many companies are replacing their monolithic PLM architectures with modular best-in-class solutions in an effort to respond more flexibly to the challenges posed by Industry 4.0 and the Internet of Things (IoT) in product development and integrate different domains in their interdisciplinary development processes. The different IT systems need to be interconnected intelligently if end-to-end digitalization of the information flows and greater traceability of the change management processes are to be achieved. With OpenPDM, PROSTEP offers you the appropriate integration platform for this purpose. It also provides you with support when interconnecting the information relevant to products and processes in your PLM (product lifecycle management), ALM (application lifecycle management), ERP (enterprise resource planning) and SDM (simulation data management) systems using open industry standards such as STEP, JT and OSLC. The integration of IoT platforms also allows us to link your digital product data with the data generated during the service life of a product. There's collaboration – and then there's collaboration. How cross-company collaboration processes are designed will depend on whether two OEMs are collaborating with each other, for example as part of a joint venture, whether a customer wants to integrate its development and manufacturing partners in its PLM infrastructure over the long term without endangering its intellectual property, or whether it is primarily a matter of being able to establish cooperative ventures and partner relationships and dismantle them again quickly. PROSTEP not only offers customers the market's leading solution for secure data exchange via the Internet or OFTP connections but also OpenPDM CCenter, a self-contained collaboration platform for handling globally distributed development projects, and a large number of PLM integration modules. We also advise and support you when developing different collaboration models and make sure that you can work together with your partners efficiently in all phases of the product lifecycle. Company acquisitions present the people responsible for PLM with a major challenge. The PLM landscapes at larger companies cannot be consolidated overnight. Instead they need to be harmonized and consolidated gradually, step-by-step. It could be the case that, following an acquisition, the parts of the company are only to be linked together "loosely" so that future decisions in the context of M&A can be made more quickly and flexibly. As a specialist for system integration and data migration, it is our job to provide you with advice and support when designing your joint PLM infrastructure and defining a strategy for harmonizing the heterogeneous PLM landscapes. We offer you tried-and-tested strategies for integrating and standardizing your PLM systems while accepting the temporary coexistence of different data sources. Joint ventures are usually provided with a separate PLM environment that first needs to be filled with initial data. This data can come from multiple source systems at the participating companies, which makes the initial data filling a complex undertaking. It is not unlike a migration project, but it is often subject to greater time pressure and must also take into account the selection of data relevant to the joint venture. If joint ventures are also to be provided with data from the PLM environments of the participating companies over the long term, the project turns into a regular task in which the protection of intellectual property deserves special attention. In addition, the integration solution often has to be adapted to the IT departments of the various companies involved and has to operate within the specific context of those IT departments. PROSTEP has demonstrated that joint ventures can be provided with optimum support in both scenarios in a number of different projects. We offer the appropriate solution components for both the initial data filling and long-term data provision, IPP protection, rapid ramp-up and third-party operation, thus ensuring a smooth transition between initial data filling and long-term data provision. Not only has the number of mergers and acquisitions and joint ventures increased greatly in recent years but also the number of carve-outs and spin-offs. The problem with these carve-outs and spin-offs is the fact that data and IT systems need to be unbundled without disrupting day-to-day activities. This requires an accurate understanding of the business processes and the IT systems used that need to be unbundled. The dismantling of established heterogeneous PLM system landscapes in particular poses a major challenge because engineering/development data has to be transferred, or even migrated to another PLM system, during operation without posing a risk to know-how. Our experts give due consideration to the different technical and organizational requirements of our customers. Thanks to our many years of experience gained in PLM migration and integration projects, we are in a position to get to grips with such carve-out projects in terms of both methodology and the data models. With our tried-and-tested software solutions, we provide support for the carefully planned transition of the PLM landscapes, regardless of whether this involves big bang migration or the coexistence of the different IT systems over a longer period of time. There can be a number of different reasons for replacing a PLM system. 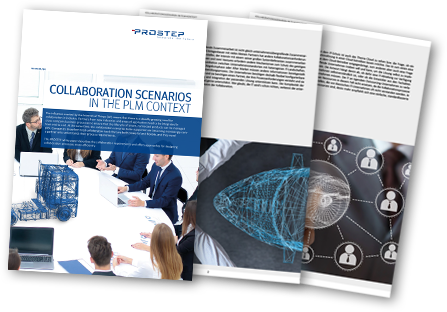 Regardless of whether this is due to the acquisition of a company or the fact that the solution is technically obsolete and no longer meets the more extensive requirements, it is a monumental task for the people responsible for PLM. A task that they will be hard pressed cope with using their own resources. They not only have to transfer the existing data to the new solution, which first needs to be found, but also record the PLM processes, identify the shortcomings of the existing application, clarify the stakeholders' expectations and specify requirements with regard to the new system. PROSTEP is an expert partner with many years of experience in the planning and implementation of PLM migration. 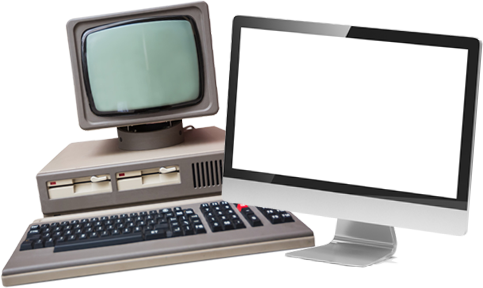 It provides customers with support – from selecting a system to migrating the CAD and PLM data through to deactivating the old systems. In addition to system-independent PLM consulting services, our service portfolio also includes the creation of a PLM development concept, the development of a customized migration plan and the creation of a "migration office" that monitors adherence to deadlines and achievement of the project objectives. Our PLM Migration Framework, which has proved its worth in numerous migration projects, guarantees efficient and transparent migration with measurable results, thus making it possible to plan migration. The aim of any type of partner integration is to provide support for distributed value chains; their concrete focus, however, will depend on the different focus and objectives of the partner relationship. Is it, for example, a customer-supplier relationship in which the customer can stipulate certain requirements or a partnership between equals? Does development data have to be exchanged in both directions and if necessary modified by both parties, or is it a matter of providing information on purchased parts? In addition, the duration of the partnership, the speed of ramp-up and ramp-down, the necessary protection of intellectual property (IPP) and the desired level of automation are all key factors that impact on the selection of an integration solution. 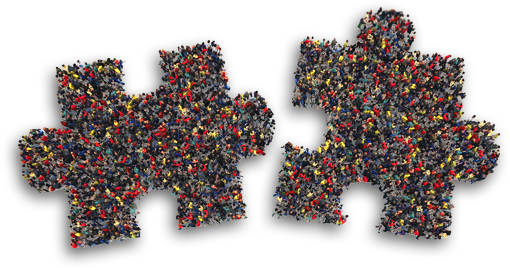 Ever since it was first founded, PROSTEP has been getting to grips with the various challenges associated with partner integration. It provides a variety of solutions for this purpose, ranging from PLM2PLM integration to data exchange platforms through to collaboration portals. As the world's leading PLM integration specialist, we have the expertise needed to provide our customers with comprehensive, vendor-neutral advice on partner integration. The Internet of Things (IoT) describes a global infrastructure that makes it possible to interconnect physical and virtual objects. It forms the basis for smart products, Industry 4.0, predictive maintenance, the digital twin and big data analytics. IoT technologies and big data make it possible to analyze and use data from the entire product lifecycle with the aim of optimizing products in terms of functionality, costs and quality. To do this, the information collected using IoT technologies and platforms needs to be linked with the PLM data and processes. In addition, service-oriented business models require the tighter integration of digital data from development and production with information relating to product utilization, something that would not be possible without the integration of PLM systems. Data integration between systems, the departments in a company and within value and supply chains is absolutely vital when it comes to optimizing products and establishing new business models. Along with the automation of process chains in the field of PLM, it is one of PROSTEP's core competencies. In addition to our extensive expertise, which is based on the many years of experience gained from countless PLM integration projects, we also offer software solutions for integrating IoT platforms, such as PTC's ThingWorx, which are needed for developing and manufacturing smart products. Interdisciplinary change management in the context of developing smart products, Industry 4.0 and IoT is not only a challenge for a company's own organization but also when collaborating with other development partners and suppliers. The complexity and variety of different vehicles in the automotive industry in particular can give rise to over 100 change requests per day, which can affect several thousand company employees and external partners. Depending on the scope of the changes involved, this means that both the various departments and the partners – who are working with very different IT systems – have to be involved in the change management process. The provision of the relevant change information in the different management systems is key to creating a high-performance, traceable change process. In addition to its many years of experience, PROSTEP offers a PLM integration framework with standardized connectivity modules that can be used to implement end-to-end change processes inside and outside a company without having to adapt the systems to be integrated. This means that the information and data are available to all those involved in their respective system environments, which reduces processing times and greatly increases process quality and reliability. In order to provide our customers with the best possible solutions, we have long maintained open and productive relationships with all leading IT system vendors. Our strategic partners include leading CAx and PLM providers. Our network of sales partners comprises companies from around the world. Geometric Limited provides technical support for OpenDXM and OpenDXM GlobalX in the Asia Pacific region. Infinities 1st GmbH is a sales partner for OpenDXM and OpenDXM GlobalX in Germany. KPEC GmbH is a sales partner for PROSTEP PDF Generator 3D in Turkey. Mirae Information Technology Inc. is a sales partner for PROSTEP PDF Generator 3D in South Korea. SEAL Systems AG is a sales partner for PROSTEP PDF Generator 3D in Germany, Austria and Switzerland. Smartscape, Inc. is a sales partner for PROSTEP PDF Generator 3D in Asia. Tetra 4D LLC is a sales partner for PROSTEP PDF Generator 3D in North America. PROSTEP is part of a number of joint ventures, thus bundling its various areas of expertise for the benefit of its customers and providing them with access to innovative technologies. CenProCS AIRliance GmbH is a joint venture involving Cenit AG, PROSTEP AG and CS Communication & Systems. It bundles consultancy services for EADS. The young company Logic for Business GmbH markets the solution v.control, innovative software for identifying and visualizing product platforms and the associated product components. Logic for Business also offers consultancy and other services relating to the various aspects of integrated product models. PROSTEP AG is in tune with the times and plays an active role in bringing about new developments. The 3D PDF Consortium comprises Adobe, Tetra 4D, Tech Soft 3D, PROSTEP and a number of other companies. The organization supports the further development of the PDF/E and PRC standards. The research association “Forschungsvereinigung Smart Engineering e.V.” is an association for the support of science and research as well as education in the field of smart engineering. The aim of the association is to develop smart products and services as well as to advance a linked production and its associated production systems throughout the entire product life cycle to enable a continuous digital added value. NAFEMS - National Agency for Finite Element Methods and Standards - is a not-for-profit organization promoting the effective use of engineering simulation methods. The OMG consortium - Object Management Group, Inc. - develops internationally recognized standards for vendor-independent and cross-system object-oriented programming. The prostep ivip Association develops future-oriented solution approaches and standards for product data management and virtual product development. The Gesellschaft für Technische Kommunikation e.V. - tekom - is the German professional association for technical communication and information development. The IT Security Association Germany (TeleTrusT) is a widespread competence network for IT security comprising members from industry, administration, consultancy and research as well as national and international partner organizations with similar objectives. VDMA - Verband Deutscher Maschinen- und Anlagenbau e.V. - is an interest group representing approximately 3,000 primarily small and medium-sized companies in Germany's capital goods industry. The Wissenschaftliche Gesellschaft für Produktentwicklung WiGeP - Berliner Kreis & WGMK - is a network of excellence for promoting product innovation in machine engineering and related branches of industry. Our OpenPDM software family forms the basis for our comprehensive range of data migration, system integration and collaboration services. It is the world's leading solution for synchronizing and migrating PLM data and processes in a wide variety of application scenarios and domains. OpenPDM offers you the perfect solution for any application scenario and does so as standard software that provides maximum protection of your investment. OpenPDM CONNECT includes all the functions required to link two PLM systems and automate the synchronization of product data. OpenPDM INTEGRATE allows any number of PLM systems in any department or discipline to be connected and ensures problem-free synchronization of data and processes. OpenPDM MIGRATE supports the transfer of PLM data from existing projects to new projects. The data can be migrated in one fell swoop (big bang) or project by project. OpenPDM COLLABORATE enables secure data communication when collaborating with partners in joint development projects or joint ventures, by means of automated standard provision or on-demand availability for example. Open PDM CCenter is a self-contained collaboration platform for the secure provision of shared data in distributed development projects and the coordination of cross-company project work.